Hi @keyssa, no you can't but they can! 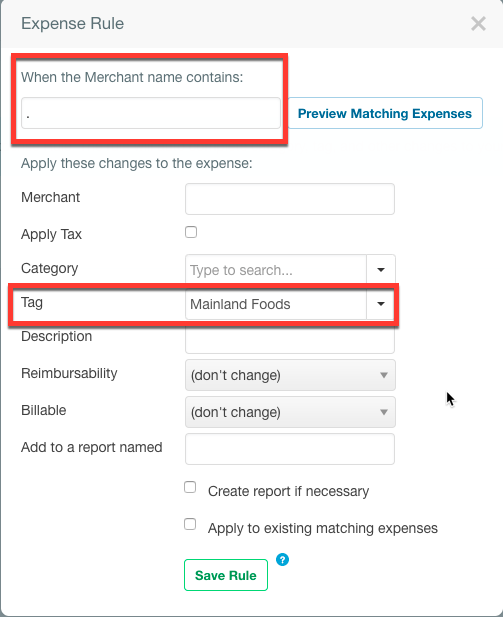 They can create a new expense rule under Settings > Your Account > Expense Rules. In 'Where merchant name contains' put a '.' and this will apply it to every expense.